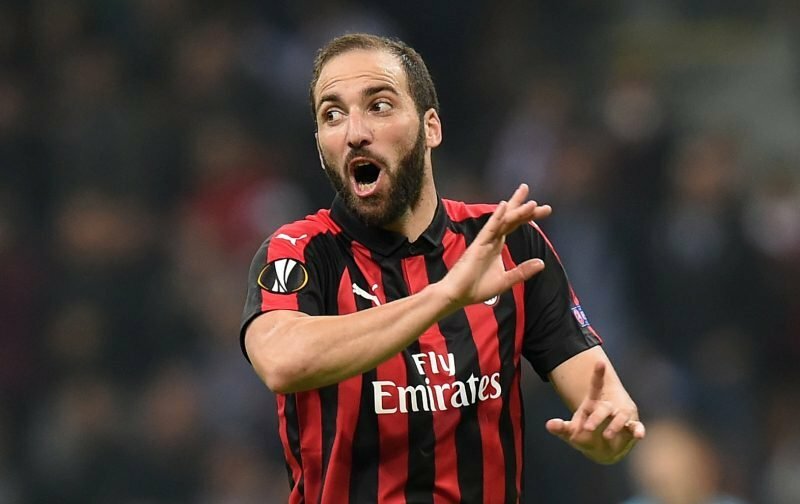 Any hopes Chelsea had of involving Alvaro Morata in a swap deal that would see the Spaniard join Juventus with the Argentine striker, Gonzalo Higuain, moving to Stamford Bridge, have, according to one source, been stopped in their tracks. According to the Italian news source, calciomercato, Juventus are only interested in doing a cash deal for their Argentine striker who is currently on loan at AC Milan. But, the magnitude of the size of the fee Juventus want will, in our opinion, shock the Chelsea faithful. Our referenced source is reporting that the Turin based club want a whopping €50 million. Now, I’m assuming I won’t be the only Chelsea supporter staggered by that figure and, with Higuain’s powers being on the wane, would seriously urge Chelsea to look elsewhere. Surely, before pen is put-to-paper on this deal, common sense will prevail, and Chelsea will refocus on a more suitably priced target. Seb Haller Est £35m French International. No.3 Andre Silva who has been proposed before.